A FAVOURABLE draw has well-bred pacer Bechers Brook in a strong position to add another feature to his growing tally. Engaged in the Four-Year-Old Championship at Gloucester Park tomorrow night, Bechers Brook will begin from barrier three for trainer Mike Reed. As such the entire has been listed at the top of the betting market at $2.80. A last-start second behind the state’s premier performer of his crop – Jack Mac – Bechers Brook is in peal condition according to Reed. “He will be very hard to beat,” Reed said. “He put in a good run behind Jack Mac, which is a superstar, last time around and has trained on well since. “It’s a small, but very strong field, but he’s certainly ready for it. “I’ve also got Golden State in the field and he will also go well from barrier five. “He was disappointing at his last start but I had lugging pole on him and he resented it. 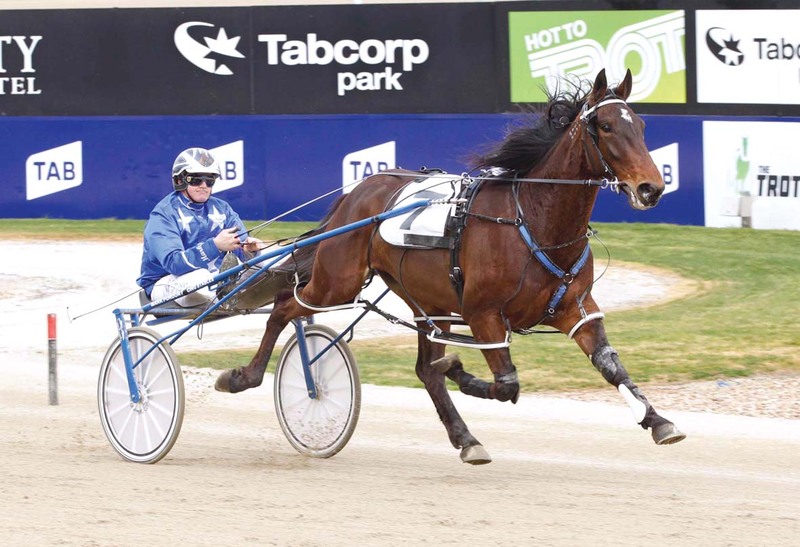 By top stallion Somebeachsomewhere from grand producer Cyclone Betty, the Australian Pacing Gold purchase is the brother of former freakish youngster Waikiki Beach. Waikiki Beach won 20 of his first 21 starts, with his victories including the APG Final, New South Wales Breeders’ Challenge, New South Wales Derby and two Breeders’ Crowns before being sold to American interests. As for Bechers Brook, his record sits on 10 wins and seven placings from 19 starts for earnings of $143,143.